Occupational burnout is a common syndrome among physicians, and several individual-directed and organization-directed interventions have been implemented to reduce it. Until now, several review studies have tried to identify and introduce the most appropriate interventions. The aim of this article was to systematically review systematic review studies of interventions for physician burnout to evaluate and summarize their results, and ultimately guide researchers to select appropriate interventions. 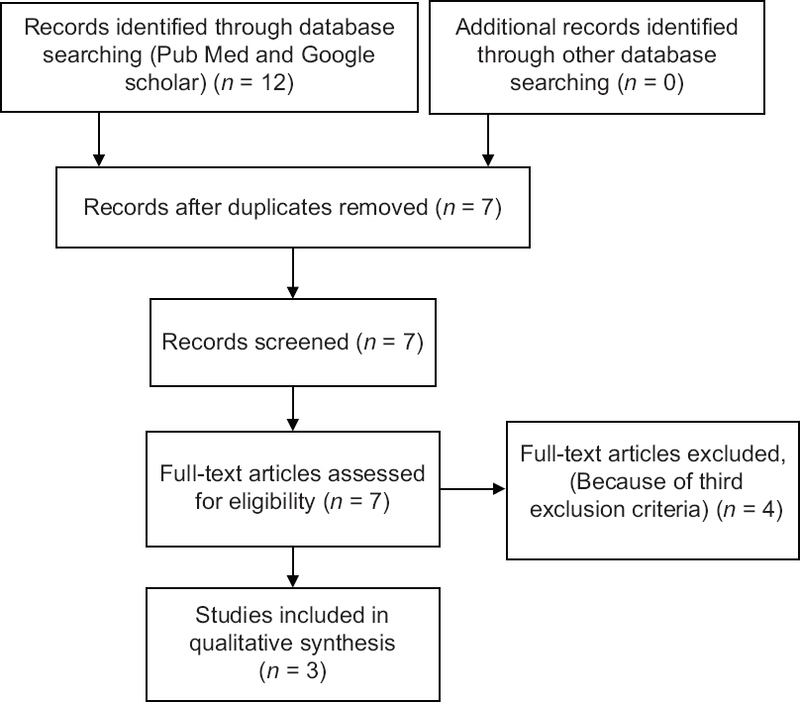 A search was conducted to find review studies and systematic reviews in Cochrane Database of Systematic Reviews, Medline, Google Scholar, PubMed, and PsycINFO. Two reviewers independently selected and evaluated the studies based on inclusion criteria. Four of seven obtained review studies and systematic reviews met the inclusion criteria. These studies have reviewed individual-directed and organization-directed interventions intended to reduce burnout among medical students, interns, physicians, residents, and fellows. Various studies of the effectiveness of individual- and organization-directed interventions have obtained different results. This research has shown that reaching conclusions about effective interventions (individual- or organization-directed) for physician burnout is not easy and that a number of mediating or moderating variables probably influence the effectiveness of these interventions. Therefore, it is necessary to understand approaches and interventions for the prevention or reduction of physician burnout to fill the gaps in research. In addition, review studies are required to be more precise in choosing their criteria to find more accurate results. Numerous studies have shown that burnout is quite common among medical students and physicians around the world.,,,,, In February 2003, the European Forum of Medical Associations and the World Health Organization issued statements on the burnout syndrome among physicians. The statement expressed serious concern about burnout levels and called on all national medical associations to pay attention to the problem. Occupational burnout is a series of unpleasant work-related symptoms, including emotional exhaustion, depersonalization, and decreased sense of personal accomplishment. Emotional exhaustion is the main dimension of occupational burnout. It refers to mental and physical fatigue, feeling mentally depleted, lack of energy to complete tasks, and the feeling of not being able to renew lost energy. Depersonalization follows extreme emotional exhaustion. It is characterized by a cynical, inconsiderate treatment of others as objects. Depersonalization may initially have a self-protection function because it allows physicians to isolate themselves from the emotional stress of work and thus provides an emotional shield against workplace problems. However, this process may result in a gradual loss of noble (positive and altruistic) traits, which might have a negative impact on performance and quality of professional services., Decreased personal accomplishment is one of the components of burnout self-evaluation. It refers to a decreased sense of personal competence and self-efficacy. Self-efficacy refers to a physician's beliefs and judgments about his or her ability to carry out professional duties. Therefore, the third component of burnout includes a negative evaluation by physicians of their own merits, competence, and ability to treat and help patients. Burnout is conceptually distinct from other mood disorders and can be placed between stress and depression., Burnout results from chronic stress and can lead to depression. Burnout and depression are correlated but distinct concepts. Depression is not context-dependent, whereas burnout is a work-related phenomenon. In other words, in depression, negative thoughts and feelings are not limited to work. Depressed individuals always feel a lack of energy, not just when they are at work, whereas a burned-out person experiences such feelings on the job and may be happy in other areas of life Stress is not a disorder in itself, whereas burnout is regarded as such. Burnout is associated with reduced excitement, reduced involvement in work, and feelings of hopelessness and helplessness, whereas stress at work is characterized by intensity of emotional reactions, overengagement in work, feelings of urgency, and hyperactivity. The importance of these consequences has led to increased attention to mental health in physicians and requests to prevent or reduce burnout among them. Two general approaches can be distinguished in interventions for physician burnout: interventions directed at individuals and interventions directed at organizations., Individual-directed interventions typically include mindfulness techniques, cognitive behavioral therapy, improved communication skills, and stress coping strategies. Organization-directed interventions usually involve simple changes in scheduling, reducing workload or even bigger changes such as improving teamwork, changes in professional assessment, monitoring reductions in job demand, increases in job control, and increased participation in decision-making. Until now, numerous studies have been conducted on the effectiveness of individual- and organization-directed interventions to reduce burnout among groups of physicians (medical students, interns, residents, physicians, and fellows). Other researchers have conducted systematic reviews and reviews to find more valid and comprehensive results about the effectiveness of individual- and organization-directed interventions to indicate which interventions are more appropriate or which of the two groups of individual- or organization-directed interventions are more effective.,,,,,, But these reviews have had inconsistent results and can be confusing. Therefore, the aim of this article was to systematically review systematic review studies of interventions for physician burnout to evaluate and summarize their results, and ultimately guide the researchers to select appropriate interventions. This review is based on the collection of review studies and systematic reviews of the literature on interventions to reduce burnout in groups of physicians (medical students, interns, residents, physicians). Both individual- and organization-directed interventions have been considered. Since most existing review studies and systematic reviews dated back to at least three years ago, there was no need to set a time limit. The search for review studies and systematic reviews on interventions for physician burnout was conducted in the following databases and using the keywords as listed in [Table 1]. Review studies and systematic reviews published in full text. Review studies and systematic reviews in which the research population was mostly limited to healthcare workers or at least 70% of the population were not physicians and medical students. The logic behind this restriction is that physicians experience different stressors in their academic and professional lives compared with nurses, midwives, and other healthcare workers. Two of the authors (reviewers) obtained seven review and systematic review studies of interventions for physician burnout by searching the databases.,,,,,, Two systematic review studies, and two systematic review studies with meta-analysis, met the inclusion criteria. Then, the quality of the selected studies was independently assessed using AMSTAR. In his article “Methodology in conducting a systematic review of systematic reviews of healthcare interventions,” Smith has recommended the AMSTAR tool, whose validity and reliability have been confirmed, for the assessment of multiple systematic reviews., This tool assesses items such as the definition of the research question, the determination of the inclusion criteria before the review study, data extraction by at least two independent individuals, comprehensive theoretical background through search in at least two databases, determination of keywords, the presentation of details about excluded/included studies and features of studies, assessment of the quality of the included research and analysis of its data, homogeneity assessment, publication bias assessment, and the indication of any conflict of interest in research selection. All disagreements between the evaluators were addressed and resolved. [Table 2] summarizes the features of the selected articles. Four systematic reviews were selected based on entry criteria. The most important information we wanted were objectives, questions, and outcomes of the selected systematic reviews. To do this, we extracted all these and reported in the results section. In addition, to better understand these systematic reviews, we extracted features about the interventions reviewed in them. These features include time range, number of studies reviewed, research design of studies reviewed, study population, and interventions. No statistical analyses or meta-analyses were conducted. Instead, the existing results and conclusions presented in the reviews were extracted and reported in a systematic format. By searching in databases, seven reviews were obtained, four of which met inclusion criteria [Figure 1]. Three studies addressed a combination of individual- and organization-directed interventions,,, while one study examined individual-directed interventions only. Each of the four review studies had a particular data domain. McCray et al. have reviewed articles published between 1986 and 2006, while Williams et al. have reviewed articles published between 2003 and 2011, as well as an article published in 1991. West et al. have studied articles published between 2003 and 2015, as well as an article published in 1986. Finally, Panagioti has reviewed articles published between 2005 and 2016. [Table 2] shows that review studies conducted on interventions to reduce physician burnout have progressively had more precise and stricter inclusion criteria such as accuracy in selecting research with controlled trials. The first review study conducted in 2008 has pointed to the lack of sufficient research, especially of controlled trials, on interventions for physician burnout. However, it has failed to reach a conclusion as to whether the interventions implemented so far have been effective. In their review, Williams et al. have found that we cannot determine whether individual-directed interventions are more effective than organization-directed interventions. They maintain that the classification of interventions into individual- and organization-directed simplifies the results, which should be interpreted with caution. In their study, Williams et al. have examined 12 individual-directed interventions and two organization-directed interventions. They found that in addition to one organization-directed intervention (pass–fail grading system), two individual-directed interventions, namely self-development groups and the Respiratory One Method for relaxation, were also effective in reducing physician burnout. However, mindfulness training interventions and limiting working time for residents produced conflicting results. Stress management training, Balint group More Detailss, journaling, communication skills, and BATHE technique training were either not useful or had limited usefulness. Williams et al. have noted that many studies had small sample sizes that could affect results However, their review study has limitations including lack of manual search, mere use of databases, definition of burnout and its overlap with common tension, and severe mood disorders. In their review study with meta-analysis, West has limited his meta-analysis to research with controlled design and RCT. This approach can lend more credibility to his conclusions. Although he has reported that both types of intervention can be effective in significantly reducing burnout, he has not stated which type of intervention he regards as more effective. The next review study, published along with meta-analysis in December 2016, has demonstrated that individual-directed interventions have limited effectiveness in reducing burnout, whereas organization-directed interventions are more effective in reducing physician burnout. The study has also demonstrated that this difference is due to healthcare systems rather than the physicians themselves. This review study only includes research involving RCT design and cohort studies in its review and meta-analysis, and most of the included studies have conducted a follow-up (from 2 weeks to 16 months). This review study has concluded that the effectiveness of interventions has been moderate and significant for experienced physicians (with over 5 years of experience), and low and significant for less experienced physicians (with less than 5 years of experience). The implemented interventions have been more effective for physicians working in primary care centers compared with physicians working in secondary care settings. Burnout interventions may be useful for students and professors in the medical field. Research evidence shows that numerous interventions have been implemented to relieve physicians' burnout syndrome. In addition, several review studies have investigated the results of some of these interventions. But these reviews have had inconsistent results. This article systematically reviewed systematic review studies of interventions for physician burnout to evaluate and summarize their results, and ultimately guide the researchers to select appropriate interventions. As expected, the results were complex. If we ignore McCray's study because of its less recent scope and nonexperimental design, studies 28, 29, and 12 would not be very consistent. West considers both individual- and organization- directed interventions to be effective; Panagioti regards organization-directed interventions as more effective and necessary while Williams et al. do not affirm the effectiveness of some individual- and organization-directed interventions. As [Table 2] shows, review studies of interventions to reduce burnout in physicians have gradually emphasized the selection of research with controlled trials to increase the accuracy of their findings. However, although two studies by Panagioti and West had selected “controlled trials” as one of their inclusion criteria, they did not obtain similar results. Therefore, it seems that there are still other factors explaining the conflicting results, as stated below, in addition to differences in research design. In all the review studies conducted on interventions to reduce physician burnout, samples include a variety of different groups of physicians (medical students, general practitioners, physician residents, specialists, fellows, and even attending physicians). In fact, these reviews have studied the effectiveness of interventions for all these groups together. However, they are not homogeneous populations, have different plans, functions, and responsibilities and experience different levels of burnout. For example, several studies have demonstrated that physician residents are more susceptible to occupational burnout because of the nature and requirements of their residency. Therefore, they might require different interventions. In other words, although a single intervention might be effective for one group but not effective for another, all the reviews included in this research have analyzed interventions for various samples of physicians collectively. Therefore, part of the difference in the results of review studies conducted on the effectiveness of individual- and organization-directed interventions might be due to treating different groups of physicians equally and integrating their results. Studies have shown that physicians are not equally susceptible to burnout and factors such as age, experience, specialization, gender, and marital status influence the risk of physician burnout. Therefore, we cannot expect all physicians to benefit equally from burnout interventions and their individual differences probably determine the extent to which such interventions would help them. In their systematic review, Williams et al. have investigated 19 studies on physician burnout interventions including 11 individual- and two organization-directed interventions. Their research does not reach definitive conclusions as to which type of intervention is more effective. In fact, their systematic review study does not confirm the effectiveness of some individual- and organization-directed interventions. As Williams et al. have noted, the results should be interpreted with caution. They have pointed to factors that might play a mediating or moderating role in the effectiveness of interventions. For example, because of differences in specialization, workplace location, and work and study schedules, some interventions for burnout might be effective for some physicians but not for others. In his results analysis, Panagioti has considered two moderating variables: work experience and the type of healthcare system. He has found that the effectiveness of interventions is moderate and significant for experienced physicians (with over 5 years of experience), while for less experienced physicians (with less than 5 years of experience), the effectiveness of interventions is low and significant. In addition, interventions for physicians working in primary care centers have been more effective than interventions implemented for physicians working in secondary care centers. The type of target population, mentioned in the previous section, can be a moderating variable itself. We have discussed the subject separately because of its importance. The conflicting results of the three review studies can be somewhat explained according to what was discussed. In fact, these conflicting results do not imply that the findings of the studies are false. Rather, these reviews have included studies that have neglected mediating and moderating variables existing in the interventions they have included in their research. This explains why individual- or organization-directed interventions have been described as effective by one study and not effective by another one. Williams et al. 's study seems to be more conscious of these variables and has stated that reaching a conclusion about the effectiveness of burnout interventions is more complicated than their classification into individual- and organization-directed groups suggests. Most of the studies included in reviews 12, 30, and 31 have a limited sample size, which can influence their power of test. All the discussed review studies have investigated research with a limited sample size along with research with an appropriate sample size, which has led to generalized results. In addition, part of the conflicting results may be due to a publication bias favoring effective interventions. As we discussed, only Williams et al. have included studies whose interventions have been reported as ineffective. Other review studies have ignored such interventions. Therefore, some individual- and organization-directed interventions might have been ignored by some review studies, a bias that might have influenced their results. Although the review studies examined in this research have not included the same interventions, the results of this review indicate the need for further research on effective interventions to reduce physician burnout. In fact, this research has shown that reaching conclusions about effective interventions for physician burnout is not easy and that a number of mediating and moderating variables probably influence the effectiveness of these interventions. This finding has implications for researchers investigating the effectiveness of interventions for physician burnout reduction as well as researchers who intend to review such interventions. The authors suggest that researchers consider moderating and mediating variables when evaluating interventions for reducing physician burnout. In this way, we might be able to determine which intervention is effective for a particular group of individuals. As an example, several studies have shown that there is a correlation between certain personality traits, such as extroversion and neuroticism, and occupational burnout,,,,,, and that these personality traits affect the degree to which different individuals will benefit from treatments for a variety of psychological disorders and distress., Therefore, if researchers consider these personality traits as a moderating variable for the effectiveness of interventions, they can obtain results that are more accurate. Such results reduce the confusion of overview studies, as demonstrated by the studies included in this research, and help researchers conducting studies on physician burnout reduction in selecting effective interventions. The authors also recommend that to the extent possible, reviewers consider moderating variables as well when defining their inclusion criteria. For example, if a review only studies interventions for burnout among physician residents, it can obtain more accurate results about the effectiveness of individual-directed interventions compared with organization-directed interventions. Ishak W, Nikravesh R, Lederer S, Perry R, Ogunyemi D, Bernstein C, et al. Burnout in medical students: A systematic review. Clin Teach 2013;10:242-5. Sablik Z, Samborska-Sablik A, Drożdż J. Universality of physicians' burnout syndrome as a result of experiencing difficulty in relationship with patients. Arch Med Sci 2013;9:398-403. Erschens R, Keifenheim KE, Herrmann-Werner A, Loda T, Schwille-Kiuntke J, Bugaj TJ, et al. Professional burnout among medical students: Systematic literature review and meta-analysis. Med Teach 2018;14:1-2. Dyrbye L, Shanafelt T. A narrative review on burnout experienced by medical students and residents. Med Educ 2016;50:132-49. Dimou FM, Eckelbarger D, Riall TS. Surgeon burnout: A systematic review. J Am Coll Surg 2016;222:1230-9. World Health Organization, editor. Statement on the Burnout Syndrome among Physicians. Germany: European Forum of Medical Associations; 2003. Maslach C. Job burnout: New directions in research and intervention. Curr Dir Psychol Sci 2003;12:189-92. Maslach C, Schaufeli WB, Leiter MP. Job burnout. Annu Rev Psychol 2001;52:397-422. Maslach C, Leiter MP. New insights into burnout and health care: Strategies for improving civility and alleviating burnout. Med Teach 2017;39:160-3. Williams D, Tricomi G, Gupta J, Janise A. Efficacy of burnout interventions in the medical education pipeline. Acad Psychiatry 2015;39:47-54. Iacovides A, Fountoulakis KN, Kaprinis S, Kaprinis G. The relationship between job stress, burnout and clinical depression. J Affect Disord 2003;75:209-21. Maslach C, Jackson SE, Leiter MP. Maslach Burnout Inventory Manual. Mountain View: CPP; 1996. Bakker AB, Schaufeli WB, Demerouti E, Janssen PP, Van Der Hulst R, Brouwer J. Using equity theory to examine the difference between burnout and depression. Anxiety Stress Coping 2000;13:247-68.
van der Heijden F, Dillingh G, Bakker A, Prins J. Suicidal thoughts among medical residents with burnout. Arch Suicide Res 2008;12:344-6. Wurm W, Vogel K, Holl A, Ebner C, Bayer D, Mörkl S, et al. Depression-burnout overlap in physicians. PLoS One 2016;11:e0149913. Dewa CS, Loong D, Bonato S, Thanh NX, Jacobs P. How does burnout affect physician productivity? A systematic literature review. BMC Health Serv Res 2014;14:325. Shanafelt TD, Mungo M, Schmitgen J, Storz KA, Reeves D, Hayes SN, et al. Longitudinal study evaluating the association between physician burnout and changes in professional work effort. Mayo Clin Proc 2016;91:422-31. Shanafelt TD, Balch CM, Bechamps G, Russell T, Dyrbye L, Satele D, et al. Burnout and medical errors among American surgeons. Ann Surg 2010;251:995-1000. Dyrbye LN, Varkey P, Boone SL, Satele DV, Sloan JA, Shanafelt TD, et al. Physician satisfaction and burnout at different career stages. Mayo Clin Proc 2013;88:1358-67. Ratanawongsa N, Roter D, Beach MC, Laird SL, Larson SM, Carson KA, et al. Physician burnout and patient-physician communication during primary care encounters. J Gen Intern Med 2008;23:1581-8. Linzer M, Visser MR, Oort FJ, Smets EM, McMurray JE, de Haes HC, et al. Predicting and preventing physician burnout: Results from the United States and the Netherlands. Am J Med 2001;111:170-5. Karasek RA Jr. Job demands, job decision latitude, and mental strain: Implications for job redesign. Adm Sci Q 1979;24:285-308. Montgomery A. The inevitability of physician burnout: Implications for interventions. Burn Res 2014;1:50-6. Awa WL, Plaumann M, Walter U. Burnout prevention: A review of intervention programs. Patient Educ Couns 2010;78:184-90. Panagioti M, Panagopoulou E, Bower P, Lewith G, Kontopantelis E, Chew-Graham C, et al. Controlled interventions to reduce burnout in physicians: A systematic review and meta-analysis. JAMA Intern Med 2017;177:195-205. West CP, Dyrbye LN, Erwin PJ, Shanafelt TD. Interventions to prevent and reduce physician burnout: A systematic review and meta-analysis. Lancet 2016;388:2272-81. McCray LW, Cronholm PF, Bogner HR, Gallo JJ, Neill RA. Resident physician burnout: Is there hope? Fam Med 2008;40:626-32. Irving JA, Dobkin PL, Park J. Cultivating mindfulness in health care professionals: A review of empirical studies of mindfulness-based stress reduction (MBSR). Complement Ther Clin Pract 2009;15:61-6. Shiralkar MT, Harris TB, Eddins-Folensbee FF, Coverdale JH. A systematic review of stress-management programs for medical students. Acad Psychiatry 2013;37:158-64. Schünemann HJ, Oxman AD, Higgins JP, Vist GE, Glasziou P, Guyatt GH. Presenting results and ‘Summary of findings’ tables. Cochrane Handbook for Systematic Reviews of Interventions. Chichester: A John Wiley & Sons; 2008. p. 335-57. Smith V, Devane D, Begley CM, Clarke M. Methodology in conducting a systematic review of systematic reviews of healthcare interventions. BMC Med Res Methodol 2011;11:15. Shea BJ, Hamel C, Wells GA, Bouter LM, Kristjansson E, Grimshaw J, et al. AMSTAR is a reliable and valid measurement tool to assess the methodological quality of systematic reviews. J Clin Epidemiol 2009;62:1013-20. Shea BJ, Bouter LM, Peterson J, Boers M, Andersson N, Ortiz Z, et al. External validation of a measurement tool to assess systematic reviews (AMSTAR). PLoS One 2007;2:e1350. Piedmont RL. A longitudinal analysis of burnout in the health care setting: The role of personal dispositions. J Pers Assess 1993;61:457-73. Zellars KL, Perrewe PL, Hochwarter WA. Burnout in health care: The role of the five factors of personality. J Appl Soc Psychol 2000;30:1570-98. Røvik JO. The Role of Personality in Stress, Burnout and Help-Seeking. A Ten-Year Longitudinal Study among Norwegian Medical Students and Early Career Physicians. PhD thesis, University of Oslo, Oslo; 2010. Tipandjan A, Sundaram S. Nurses burnout: Does personality and social support relate? JOHB 2012;1:49-53. Hudek-Knezević J, Kalebić Maglica B, Krapić N. Personality, organizational stress, and attitudes toward work as prospective predictors of professional burnout in hospital nurses. Croat Med J 2011;52:538-49. Watson R, Deary I, Thompson D, Li G. A study of stress and burnout in nursing students in Hong Kong: A questionnaire survey. Int J Nurs Stud 2008;45:1534-42. Lue BH, Chen HJ, Wang CW, Cheng Y, Chen MC. Stress, personal characteristics and burnout among first postgraduate year residents: A nationwide study in Taiwan. Med Teach 2010;32:400-7. Berlim MT, McGirr A, Beaulieu MM, Van den Eynde F, Turecki G. Are neuroticism and extraversion associated with the antidepressant effects of repetitive transcranial magnetic stimulation (rTMS)? An exploratory 4-week trial. Neurosci Lett 2013;534:306-10. Schueller SM. Personality fit and positive interventions: Extraverted and introverted individuals benefit from different happiness increasing strategies. Psychology 2012;3:1166-73.